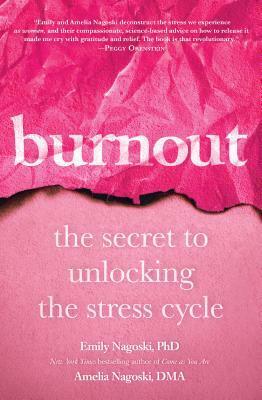 This groundbreaking book explains why women experience burnout differently than men—and provides a simple, science-based plan to help women minimize stress, manage emotions, and live a more joyful life. Burnout. Many women in America have experienced it. What’s expected of women and what it’s really like to be a woman in today’s world are two very different things—and women exhaust themselves trying to close the gap between them. How can you “love your body” when every magazine cover has ten diet tips for becoming “your best self”? How do you “lean in” at work when you’re already operating at 110 percent and aren’t recognized for it? How can you live happily and healthily in a sexist world that is constantly telling you you’re too fat, too needy, too noisy, and too selfish? With the help of eye-opening science, prescriptive advice, and helpful worksheets and exercises, all women will find something transformative in these pages—and will be empowered to create positive change. Emily and Amelia aren’t here to preach the broad platitudes of expensive self-care or insist that we strive for the impossible goal of “having it all.” Instead, they tell us that we are enough, just as we are—and that wellness, true wellness, is within our reach.